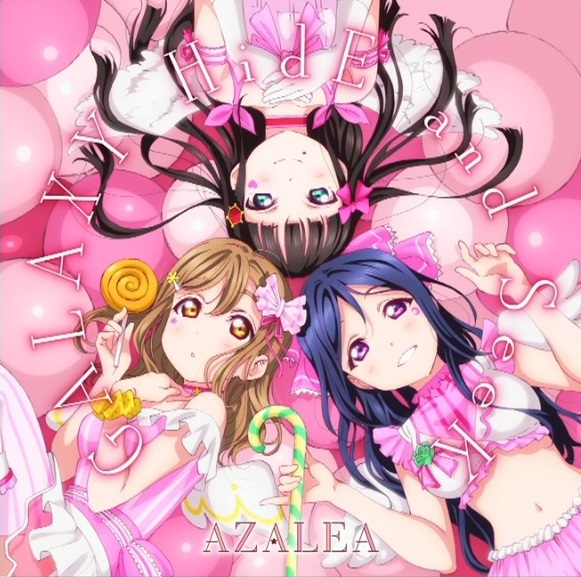 GALAXY HidE and SeeK is the second single sung by AZALEA, a sub-unit under Aqours. The group consists of Matsuura Kanan, Kurosawa Dia, and Kunikida Hanamaru. The song was first previewed on Aqours Uranohoshi Girls' High School Radio!!! Episode 56. The song is written by Hata Aki, composed and arranged by Takeichi Yoshinobu.